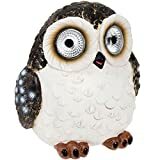 The Moonrays 95071 solar powered hummingbird rain gauge adds a decorative touch to your backyard, patio or garden, all while taking advantage of solar energy. 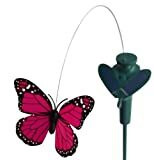 The hand painted hummingbird will complement your garden and help keep track of the rain with the attached rain gauge. A White LED spotlights the bird at night. The LED bulbs will never need to be replaced and will remain cool to the touch at all times, providing safe lighting that will not burn or heat-up. With no wiring required, installation, long-term energy savings and becoming eco-friendly has never been easier! 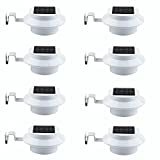 Moonrays solar lights gather energy from the sun during the day, then automatically come on at dusk to provide outdoor lighting where you want it. The (1) rechargeable battery (included) charges using the sun's rays and advanced Moonrays solar technology to provide light for up to 8-hours on a full battery charge. This Item measures 5.3-Inches wide and 7.6-Inches high. Let Moonrays help make your outdoor settings as livable, enjoyable and charming as any room in your home. 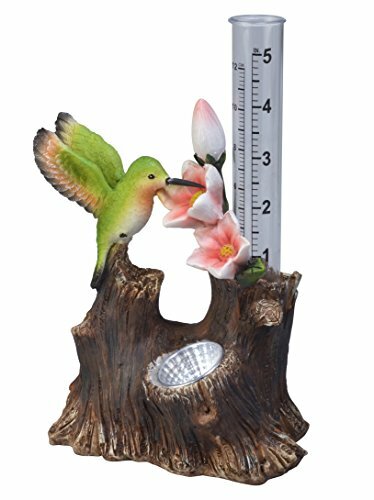 The Moonrays 95071 solar powered White LED hummingbird rain gauge comes with a 1-year limited warranty, provided to the original purchaser, which protects this product from manufacturing defects in material, assembly and workmanship.